What’s the role of sleep apnea surgery? 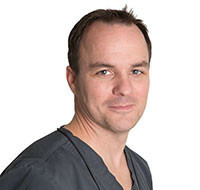 In this audio interview I talk with Assoc Prof Stuart Mackay from Illawarra ENT on the role of surgery for snoring and sleep apnea. Surgery can be an important part of the management of snoring and sleep apnea. It’s rare for surgery alone to cure these disorders, but when used as part of an overall management plan, surgery can be very useful. Increasingly in the management of sleep apnea, we look at using a combination of treatments to get the best results. For example, surgery on the nose, tonsils and palate to help open up the airway, then managing any remaining sleep apnea with other strategies such as weight loss, use of a mandibular advancement splint, or CPAP. 00:22 – 01:08 How has surgery changed over the last 10 years? 02:27 – 03:22 Who is the ideal patient for sleep apnea surgery? 03:22 – 04:02 Who is not so suitable for sleep apnea surgery? 06:25 – 07:00 What should people look for in an ENT surgeon? 07:00 – 08:10 What does the future hold for sleep apnea surgery? Assoc Prof MacKay completed his medical degree at the University of NSW in 1998, graduating with honours. His Fellowship in Otolaryngology and Head and Neck Surgery was completed in 2006. In 2007 he completed a Fellowship in Airway Reconstruction Surgery for Snoring and Obstructive Sleep Apnoea. In 2008 Assoc Prof MacKay started the Illawarra Multidisciplinary Sleep Apnoea Team Meeting and acts as the Chair, holding monthly patient reviews with various other specialists and allied health staff. He also has been an invited speaker and chair of Snoring and Sleep Apnoea Panels nationally and internationally. Stuart consults at Illawarra ENT. Dr. David Cunnington: At the recent Australian Sleep Association annual scientific meeting, I had the opportunity to sit down with Associate Professor Stuart MacKay from Illawarra ENT to talk about the role of surgery in the treatment of snoring and sleep apnoea. So thanks Stuart for helping us out and talking about sleep apnoea surgery. Associate Professor Stuart MacKay: Pleasure. Dr. David Cunnington: Surgery used to be done 10, 15 years ago and results weren’t that great. So how has surgery changed over the last 10 years? Associate Professor Stuart MacKay: So the last sort of decade or so, we’ve tried to be a lot more reconstructive about our surgeries rather than ablative. By which we mean we try to move tissue around rather than cutting a lot of tissue away. So these days generally we really only take away things like tonsil and sometimes tissue that’s beneath the surface but the tissue on the surface we’ve come to the realisation is important for function, things like eating, drinking, et cetera and speech. So we try to preserve that function, just put it in a different position to make more room in the airway with our sort of contemporary surgeries. Dr. David Cunnington: So you did some research, got published a couple of years ago in Journal of Clinical Sleep Medicine. So what sort of surgeries did you do in that research? Associate Professor Stuart MacKay: So that paper was a sort of a multicenter research between myself and Adelaide and we did surgeries that involved removing tonsil if it was present and repositioning the areas of the palate around the tonsil to put them in a spot that we wanted them to be and we combine that with a very low risk, what we call low morbidity radio frequency system, to just shrink the inside of the tongue. To be honest, that tongue addition is very low impact in terms of treatment of snoring and sleep apnoea but it does help with some of the symptoms. Most of the impact is still achieved at the level of the palate around the tonsil and we carefully selected patients who were fairly good weight and compared to their height and body mass index and have fairly reasonable anatomy for that type of procedure to achieve quite good outcomes in both their sleep study parameters and just their general quality of life. Dr. David Cunnington: So what did you find with your research? Associate Professor Stuart MacKay: We found that with this type of procedure in a carefully-selected patient, that we could actually convert most of them from severe sleep apnoea down to fairly mild sleep apnoea and that we could improve their sense of well-being with respect to sleepiness. Dr. David Cunnington: So based on your clinical experience and the research you’ve been involved with, who’s the patient you want to see? Who’s your ideal patient? Associate Professor Stuart MacKay: Ideally you want someone with fairly low body mass index, preferably between 25 and 30, recognising that that’s not the common population of the patients who have obstructive sleep apnoea and with reasonable tonsil and where – when we do one of our – what we call our weight dynamic assessment, the tonsil is creating a degree of the collapse because we know we’re going to achieve a fair result out of that level, if not just from the tonsillectomy alone but from actually repositioning things around it. Patients need to be motivated. They need to understand that in the future, weight gain is going to be an enemy of any operation and there are some other sort of contemporary operations we can do in other patients with more complex disease but we really do prefer to reserve that for patients who have generally failed with their trials of masks and jaw splints before we can put them through that. Dr. David Cunnington: Who don’t you want to see? Who when you see the referral do you go, “Geez, I haven’t got much to help them”? Associate Professor Stuart MacKay: Yeah. So we can generally offer everyone an opinion but as – I mean if we were thinking fairly broadly speaking, we don’t want patients who have very high body mass index, with limited tonsil tissue and fairly bulky tongues. They’re going to do a little bit worse than the patients with the opposite anatomy. We don’t want patients who have in particular the wrong expectations about what surgery can achieve. So we want patients who are happy to have a detailed discussion and understand that a lot of the time, we’re not trying to completely cure them of sleep apnoea. We’re trying to improve them as significantly as we can. Dr. David Cunnington: You know, I really like that approach. I think surgery is part of an overall management package for snoring and sleep apnoea and definitely got a role to play, but not going to be the sole thing necessarily that fixes everything. Associate Professor Stuart MacKay: I think that’s probably the same with every treatment for snoring disorders, for sleep breathing disorders, sleep apnoea, that we try I guess – as we go forward in the future in the discipline as a whole to individualise treatment that’s appropriate for the patient, whether that be the patient who has got favourable anatomy for an operation or the patient who has tried every other possible advice under the supervision of a sleep physician and can’t tolerate them and we’ve got to offer them the best possible alternative or salvage surgery that we can. Dr. David Cunnington: So from a patient point of view, if I see someone on – thinking of sleep apnoea surgery or they want to pursue that, what happens? I refer them to you and then what should I expect? Associate Professor Stuart MacKay: So at the consideration, generally speaking now we’ve had a fairly comprehensive clinical assessment and a sleep study assessment from a sleep physician like yourself already and I tried to – for the adult patient tried to give them at least a good 30 to 40 minutes for the appointment and in that appointment, generally speaking, they will go through a history again where we will discuss the symptoms that affect them the most. I prefer the partner to be present at that if possible. We try and evaluate just on the history what impact the snoring, the tiredness or sleepiness, the quality of life features and perhaps the long term cardiovascular and other risk, what impact that’s having on the patient and what impact it might have in the future and then we do a comprehensive airway evaluation that involves looking in the nose in particular, looking in the oral cavity and oral pharynx, getting a general feel for their orthognathic status, which means their upper and lower jaws and how they relate to each other. Then we pass a camera called a nasal endoscope through the nose and do a structural or static assessment and we do certain breathing manoeuvres that tries to replicate what goes on in sleep to give us a guide as to what the contributors to their problem are. Traditionally that was also done perhaps a little poorly using that assessment to try and decide whether someone might or might not have sleep apnoea, but that’s really what we use in the sleep study and the clinical assessment for – prior to that. The nasal endoscope is really designed to tell us what levels of collapse are contributing to their problem and whether we can improve them with surgery or jaw splint or other treatments. Dr. David Cunnington: And if someone is looking for criteria in their surgeons or they want to say, “Look, who should I go and see?” any tips on how to sort that out? Associate Professor Stuart MacKay: Preferably you want to see someone who’s a fully qualified ear, nose and throat surgeon who has got experience in both sleep medicine and sleep surgery. Preferably they would be a member of a society like this one where we are at the moment, the Australasian Sleep Association and the special interest group. They would have attended courses and things that we try to help to promote their understanding of this condition and how to treat it. So that’s the kind of person that they’re looking for. Dr. David Cunnington: So what does the future hold for ENT surgery, for snoring and sleep apnoea? Associate Professor Stuart MacKay: I think a couple of future directions. One is some promising new developments on the horizon such as a device that stimulates the main nerve that goes through the tongue, the hypoglossal nerve stimulator. It’s a little bit like a pacemaker for the tongue but we’re now starting to develop an understanding that it doesn’t purely work on the tongue. It works on the structures around the tongue to open up the airway. Unfortunately that’s not yet really available in Australasia but it has been – one device has been FDA-approved in the United States and we look forward to perhaps one day bringing it out here to see where it fits in our paradigms. From a local point of view, we’re involved in a randomised, controlled trial where patients get the type of surgery that we’ve been discussing if they can’t tolerate CPAP or mandibular advance in splint under the supervision of a sleep physician and we’re currently underway with recruitment for that trial. We’re about halfway through it and probably the other thing would be modifying and improving on our techniques, particularly tongue-tensing techniques and things like that in our surgery. So there are some promising things forthcoming, but there’s a lot of work to be done. Dr. David Cunnington: Thanks very much for your help today. Associate Professor Stuart MacKay: No worries. Anytime.